Abstract: Recent historians have rehabilitated King Duarte of Portugal, previously maligned and neglected, as an astute ruler and philosopher. There is still a tendency, however, to view Duarte as a depressive or a hypochondriac, due to his own description of his melancholy in his advice book, the Loyal Counselor. This paper reassesses Duarte’s writings, drawing on key approaches in the history of medicine, such as narrative medicine and the history of the patient. It is important to take Duarte’s views on his condition seriously, placing them in the medical and theological contexts of his time and avoiding modern retrospective diagnosis. 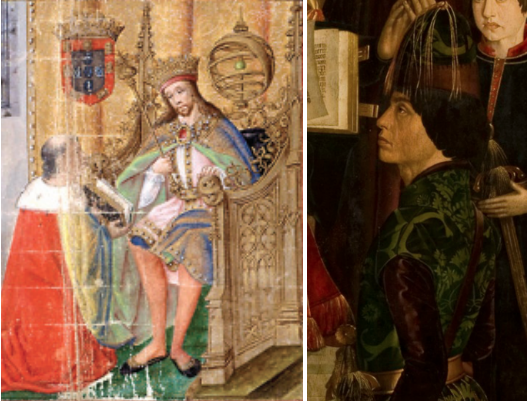 Duarte’s writings can be used to explore the impact of plague, doubt and death on the life of a well-educated and conscientious late-medieval ruler. Introduction: Since I know that many have been, are and henceforth will be touched by this sin of sadness that proceeds from disordered will, currently called in most cases an illness of the melancholic humor which physicians say comes in many forms … [and] I felt its effects for more than three years continuously and by special mercy of Our Lord God was restored to perfect health. … I propose to describe for you the beginning, middle and end of what happened so that my experience can be an example to others. Thus begins the section of King Duarte of Portugal’s vernacular advice book, the Loyal Counselor, which deals with melancholy, linking it to sin but also recognizing it as an illness. Drawing on personal experience, he suggests both medical and religious methods of overcoming feelings of joylessness and fear, feelings which he felt that he had conquered. However, later generations saw him as a depressed hypochondriac and also politically weak, mainly because of a disastrous attack on Tangiers in 1437, which ended with the king’s brother, Fernando, taken hostage. Fernando’s death in captivity in 1443 influenced Duarte’s later reputation, especially against the backdrop of later expansion into Africa. Duarte himself died suddenly in 1438, leaving a young son on the throne and a kingdom in crisis. According to chronicler Rui de Pina (d. 1522), physicians debated whether he died of plague, a wound on his arm, fever or sadness as a result of Tangiers, the latter being his own preferred option. Towards the end of his life, Duarte wrote an equestrian manual, the Livro da Ensinança da Arte de Bem Cavalgar, and compiled the Loyal Counselor at the suggestion of his wife Leonor of Aragon (d. 1445), both texts surviving in a single manuscript discovered in Paris in 1804.3 These texts appear to be closely related to a commonplace book in which Duarte collected letters, notes and recipes, and also significantly listed the books in his library.4 All these works have attracted the interest of historians seeking to understand Portuguese mentalities at the dawn of the “age of the discoveries,” but Duarte’s sadness is usually studied in a modern psychiatric context, and is little known outside Portugal. The aim here is to explore the close association between medicine and religion in Duarte’s writings, drawing attention to the problem of retrospective diagnosis, and emphasizing the significance of these texts as “patient”-authored narratives of the fifteenth century.